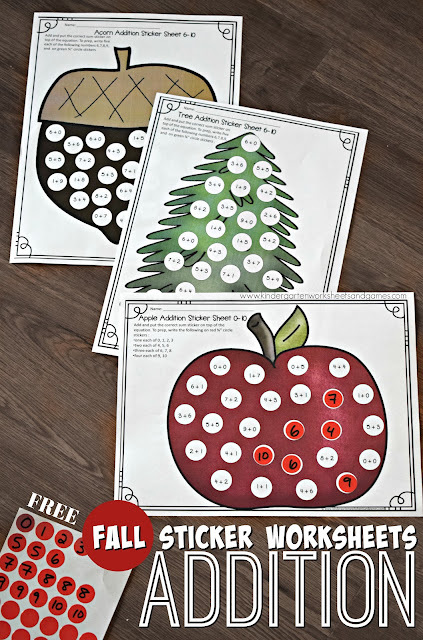 Kids will have fun practicing numbers with these free printable fall addition themed math worksheets that use circle stickers! These fall addition math worksheets are so clever; your students are going to love practicing math! 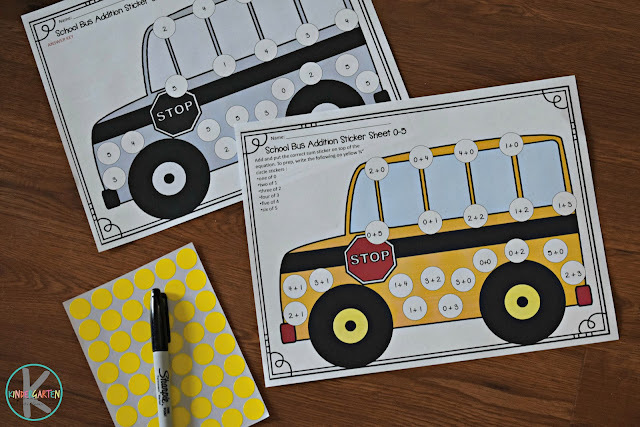 These addition worksheets are perfect for fall or back to school math practice for Kindergarten math. Each page includes directions for how many stickers of each number to make for a very quick set-up. There is also a black and white answer key included for of these math worksheets. 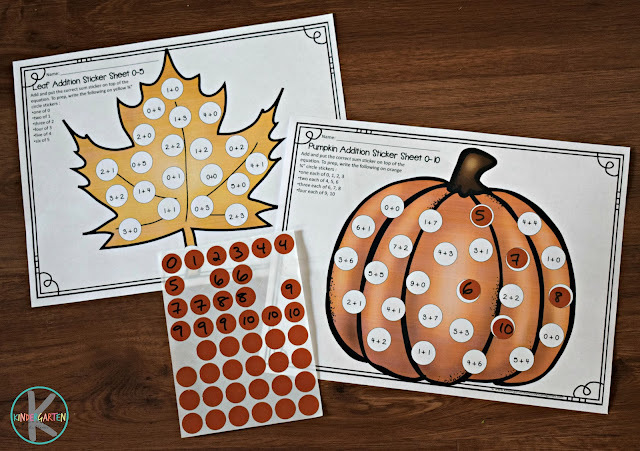 Following the instructions in the download, kids will complete the fall themed pictures while solving addition problems.